HMD Global, the 2016-founded new “home of Nokia phones”, has done a flawless job rapidly updating said mobile devices to the latest version of Android... with the exception of two particular models. Despite being the closest thing the revived brand has to a flagship (for now), the Nokia 8 and Nokia 8 Sirocco were unable to leave Android Oreo behind as fast as the lower-end Nokia 7 Plus, 6.1, 6.1 Plus, and 7.1 managed the feat. But the “regular” Nokia 8 finally kicked off its stable Android 9.0 rollout last month, and today the Nokia 8 Sirocco follows suit. The beautiful Snapdragon 835 handset’s owners are seeing their patience rewarded with a full-featured Pie goodie pack, including App Actions, Slices, Adaptive Battery, new system navigation based on predictions and suggestions, as well as Digital Wellbeing functionality. Consequently, NokiaPowerUser reports the update tips the scales at almost 1.4GB, making its way over-the-air as we speak to a first batch of users, with future waves set to spread the love around the world in a matter of days. Unfortunately, the Nokia 8 Sirocco was never officially released in the US, where the brand’s most powerful phone is still the $349 Snapdragon 636-based Nokia 7.1. 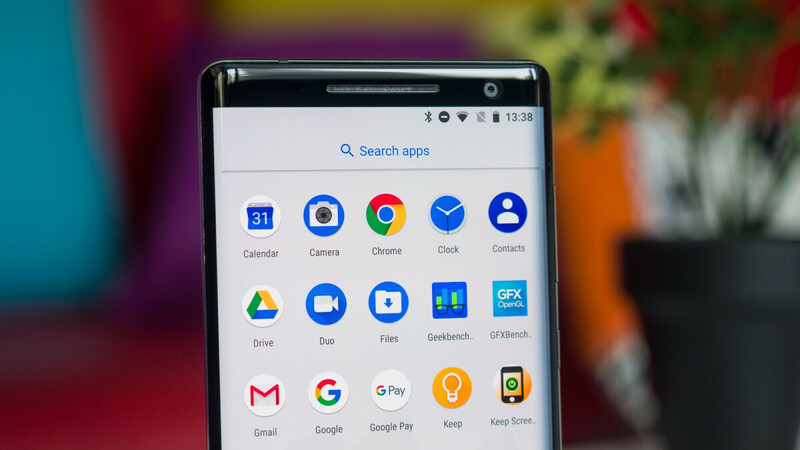 As part of the growing Android One family, the Nokia 8 Sirocco essentially delivers a “pure Google” software experience, which now includes App Timers, Wind Down, and Do Not Disturb features meant to help you spend less time on your phone, as well as a Dashboard providing a complete look at usage habits and patterns. Oh, and December 2018 security patches are also baked in. "Tardy". Considering only OnePlus and the Pixels have Pie, I'd say this isn't all that tardy. The X4 and Essential phone have pie as well along with the LATEST security updates. But Nokia runs Android One. What's the point of having stock Android when you have to wait for the update as long as Samsung users with richer and more practical UI. Android P was delayed for the Nokia 8 Sirocco for the same reasons it was delayed for the Nokia 8. There were issues. It's better that HMD got those issues sorted out before releasing it, than releasing a buggy update like Essential did when it first released Pie. I agree. They are also behind on security updates. They also release security updates that don't cause near as much issues as the ones released on Pixel smartphones. An OEM inspecting an update before releasing it is better than one that release it for the sake of being first without inspecting it. Of course you obviously have some that like to exaggerate and make excuses but never holds their OEM accountable for issues. This has nothing to do with the Google phones. Exactly. HMD has released Pie on its other smartphones since before the X4. They now have about 6 smartphones on Pie. They are doing much better than most OEM's when it comes to Pie. And they've been releasing it with less issues than when Essential first released Pie. As you can see, some people just can't get their point across without exposing their insecurities with their own device choice. As you can see, some people just can't except facts about OEM's that they favor when presented without throwing a tantrum. As you can see, they are still at it. They obviously have some issues with their OEM of choice. Pot, meet kettle. It’s one of the reasons why you always attack HMD, BlackBerry and Huawei. You’re just lashing out at other OEM’s for your own favored OEM’s issues. Great to see that the Nokia 8 Sirocco is finally getting the Pie update. There was an issue preventing it from being updated earlier, iirc. Glad to see it's all taken care of.